Fans those who have watched the recent Deadpool 2 trailer might have noticed the Ryan Reynolds’ X-Men character holding up a cross to mention the team’s name: X-Force. It looks the same as Gal Gadot’s classic Wonder Woman pose that she uses to bring out the powers of her wrist armor. 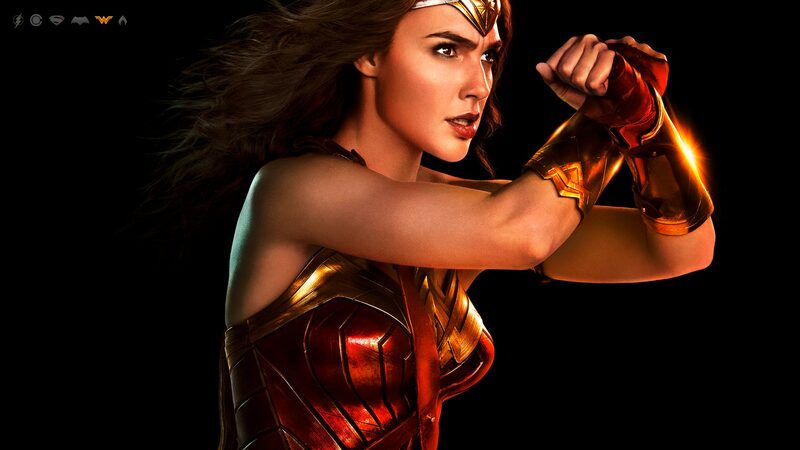 Wonder Woman actress Gal Gadot was quick enough to call out Ryan Reynolds on social media alleging that the Merc with a Mouth stole her pose. She posted a picture of Deadpool doing the pose with a caption that read, “Dude stole my look! !” along with three emojis and Reynolds’ Twitter account tagged. Reynolds replied back in true Deadpool style. “Imitation is the sincerest form of larceny,” he tweeted. Some Deadpool fans came in rescue of their star by pointing out that the pose is also a signature of the Black Panther and Wolverine from the X-Men. Another user posted a picture of Wonder Woman, Deadpool, Black Panther and Wolverine doing the same pose. The user asked the superheroes to come together, do the move, and become the real X-Force. You can check out the tweets below. Notably, fans are looking forward to the sequels of Wonder Woman and Deadpool as both the film did quite well at the box office. Wonder Woman earned a total of $821.9 million at the box office, while Deadpool walked away with $783.1 million at the end of its run in theaters. The highly anticipated Deadpool 2 will land in theaters on May 18 this year. Directed by David Leitch, the Deadpool sequel stars Ryan Reynolds as Wade Wilson (Deadpool), Morena Baccarin as Vanessa, Josh Brolin as Nathan Summers (Cable), and Zazie Beetz as Neena Thurman (Domino) in the lead roles. Talking about Wonder Woman 2, nothing much has been revealed about the film’s plot and star cast yet. The film will be directed by Patty Jenkins and will feature Gal Gadot reprising the role of Wonder Woman, Chris Pine as Steve Trevor, Ewen Bremner as Charle and Said Taghmaoiu as Sameer. Kristen Wiig has been confirmed to play Chetah in the sequel. Wonder Woman 2 is set to release on November 1, 2019. It seems Roxane Gay desperately wants to write DC Comics’ upcoming Batgirl movie. The Bad Feminist writer recently took to Twitter to express her wish to write the Batgirl movie. She even took a dig at DC Entertainment and Warner Bros.’ 2017 released Justice League movie. “It took real effort to make Justice League this bad. Definitely let me write Batgirl,” Gay’s tweet read. The tweet was noticed by Michele Wells, a Warner Bros. vice president, who responded to Gay’s message asking her to contact on her email address. Gay is probably not new to working on a comic book project. She wrote the Black Panther spin-off, Black Panther: World of Wakanda, for Marvel Comics in 2016. But, unfortunately, the series got canceled in 2017. Notably, Joss Whedon exited the Batgirl project as he failed to come up with a compelling story for the film. Whedon admitted that he could not crack the code of what a Batgirl movie should be. After Whedon’s exit, it is even reported that Warner Bros. DC Entertainments’ Batgirl movie might have got postponed as other projects such as The Batman seem to be the studios’ priority. It is likely that the studio wants to take their own ample time to move forward with The Batman universe character’s solo project. So, they have just decided to keep the film on the back burner for a while as they continue to move forward with other films. Gay may have to wait for some time to get an official response from the film studio if in case they are interested in having her on board for the Batgirl movie. Earlier Marvel Studios released a new poster consisting of the ensemble (except Hawkeye) that is set to appear in Avengers: Infinity War. Today, The Russo Brothers had another poster to share which is sure to crack up fans with laughter. In the recently released trailer, one of the moments that were pause worthy comes when Thanos is shown with his army and a young girl is shown holding his finger and walking alongside him. It is easy to identify from her green color arm that it is none other than Gamora from Guardians of the Galaxy. The moment was indeed one of the best reveals in the trailer. It gave fans a glimpse of the flashback scene when Gamora was abducted by the Mad Titan. But the scene stood out for showing an interesting element which suggests that Gamora went with Thanos willingly while her people were held at bay by Chitauri soldiers. The recent poster shared by the directors has hilariously spotlighted the moment from the trailer by poking fun at Fox’s Logan movie poster which showed X-23 a.k.a Laura holding Wolverine’s arm. Fans must note that the poster could be fan-made. Furthermore, we cannot deny that a poster such as this was bound to happen sooner or later. The Russo Brothers also wouldn’t have shared the poster to poke fun at Logan. But it will be interesting to see how Thanos’ and Gamora’s relationship is portrayed in the upcoming film. In other news about posters that managed to grab the fans’ attention, an artwork with the entire ensemble from Avengers: Infinity War grabbing a bite at a Shawarma restaurant was released by artist BossLogic. Both posters can be found below. Avengers: Infinity War hits theatres on April 27th. Let us know what you thought of the poster in the comments below. Sony has reportedly roped in Black Panther actress Sope Aluko for its standalone Spider-Man spinoff film Venom. In the Ryan Coogler-directed blockbuster, Aluko portrayed the character of a Wakandan spiritual leader, Shaman, who learns under Zuri (Forest Whitaker). The details about Aluko’s role in Venom still remain undisclosed. It is not yet confirmed if her character in the upcoming movie will relate to Black Panther or the Marvel Cinematic Universe. It will most likely be a minor supporting part. The Nigerian-born actress Aluko’s addition to Venom was first reported by Deadline. She also has appeared in films including Bloodline, Pitch Perfect 2, and Identity Thief. Directed by Zombieland fame director, Ruben Fleischer, from a script by Jeff Pinkner (The Dark Tower), Scott Rosenberg (Jumanji) and Kelly Marcel (Fifty Shades of Grey), Venomalso stars actors Tom Hardy, Michelle Williams, Jenny Slate, Woody Harrelson and Riz Ahmed in the lead roles. The upcoming film is produced by Avi Arad, Matt Tolmach, Amy Pascal, with Executive Producers David Householter and Stan Lee. Talking about the film’s storyline, director Ruben Fleisher has already announced that Venom ’s story would be based on Marvel Comics fare in 1993’s Venom: Lethal Protector limited series and 1995’s The Planet of the Symbiotes storyline from the pages of Spider-Man titles. Notably, the film is not in any manner connected to the universe seen in Spider-Man: Homecoming. Sony also has another Spider-Man spinoff film in works which is Silver & Black. The movie is scheduled to arrive on February 8, 2019. Venom will star Tom Hardy in the role of Eddie Brock who is a reporter-turned-Spider-Man nemesis. It’s believed that Tom Holland as the fan favorite Peter Parker may show up for a small cameo in the movie. It will be interesting to see how Peter becomes involved. Venom is slated to land in theatres on October 5, 2018. You can check out the film’s trailer below. Earlier last December, it was revealed that HBO’s Watchmen TV series’ pilot will begin filming this March. It seems like the network is still on track with its schedule and may soon start production. A production schedule listing from Production Weekly has revealed that the Pilot filming will take place in Vancouver, Canada. Furthermore, the status remains as spring 2018 so it looks like an exact filming start date has not yet been assigned. This won’t be the first time Warner Bros. and DC have chosen this location. Zack Snyder’s Watchmen and Man of Steel movie were both filmed in Vancouver as well. For the movie version, Snyder decided to build a custom backlot in Vancouver after shooting in several locations. “After a couple months of shooting at various locations and on stages, last week we finally made the transition to our New York City backlot. Since the New York City that is rendered in the graphic novel is so particular, it was very important to me that our backlot speak the same language, the vernacular of WATCHMEN. In addition, the backlot needs to function as many different parts of the city, countless store fronts, street corners, alleys, etc. So, with that in mind, we set out to build own own custom backlot here in Vancouver, BC. In my opinion, the results speak for themselves,” Explained Snyder (via Gothamist). Currently, DCEU’s Shazam and the TV series Titans are also being filmed in Toronto, Canada. Flashpoint is also being reported to be filmed in the same country. Damon Lindelof will helm Watchmen as the showrunner. The Leftover’s Nicole Kassell will direct the pilot. It was only in last year September that fans got an update from Lindelof that he had started pre-production with the TV series. Stay tuned with Pursue News for updates on Watchmen and other DCEU news. Marvel’s Cinematic Universe is celebrating its 10th anniversary this year. Notably, the MCU wouldn’t have been what it is today without the Robert Downey Jr. starring Iron Man which was released in 2008. The film reportedly earned a whopping $585 million at the global box office. Iron Man’s massive success kicked off the MCU which is now a $14 billion franchise and shows no signs of slowing down. To mark this big achievement, the Marvel Studios UK and Ireland Twitter account have shared some concept art from the original Iron Man as a little throwback to the hit film. The concept arts have been captioned as, “Celebrate 10 years of the MCU with a look back at concept art images and suits from the first #IronMan by artists @MeinerdingArt, Phil Saunders, and Adi Granov. The first piece of art shows the action-packed climax of the film which is the final battle between Tony Stark (Robert Downey Jr.) and Obadiah Stane (Jeff Bridges) in the Iron Monger armor. 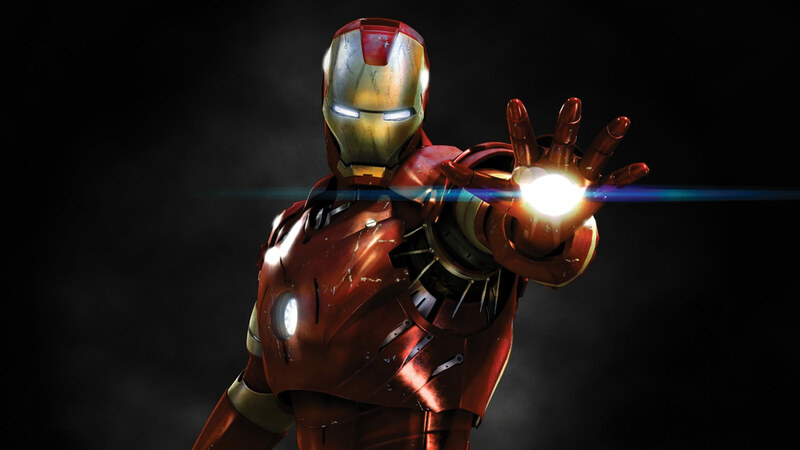 The second image is a concept drawing of the original Iron Man suit. The third image is Adi Granov’s version of the original Iron Man suit, while the last and the final image shows an alternate design of Iron Man’s upgraded red and gold armor. You can check out all the images below. Now after 10 years, the fan favorite Iron Man is all set to take on Thanos along with other MCU superheroes including Captain America, Spiderman, Thor, Hulk, Black Widow and Black Panther in the upcoming Avengers: Infinity War. Interestingly, the most popular Marvel superhero will be seen in a brand new avatar in the next Avengers film. He will be seen with his new armour called Bleeding Edge, which first made an appearance in Matt Fraction and Salvador Larroca’s Invincible Iron Man comic series. Avengers: Infinity War is set to release on April 27, 2018.